Adam, Angelo, Chad, and Robert brush up on all things Game of Thrones in anticipation of the show's final season. Playing their 2nd game without PJ Washington, the Wildcats still have enough to overtake the Terriers. 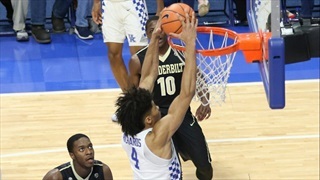 The show must go on with Robert Ristaneo and the team discuss Reid Travis injury and other hoops news. In this episode, the usual PodCats crew feature a prominent UK player in Tyler Herro. Listen to what the crew had to say about Herro and other UK sports topics. The PodCats come alive as Kentucky continues to thrive. In this Happy Holidays super-sized episode, we get into all of the Good, the Bad, and the Keith Van Horn from the recent win over Utah, pre-view North Carolina and Louisville, and discuss the Wildcats’ recruiting outlook as we shove 2018 in a closet. 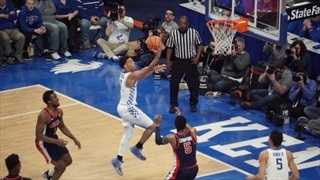 In this episode, we look back to Kentucky Basketball's recent games and forward to future matchups. No, we don't have a time machine, but Chad does teleport! We also settle the debate of who was the better defender- Anthony Davis or Nerlens Noel. All this, and more than you could ask for! 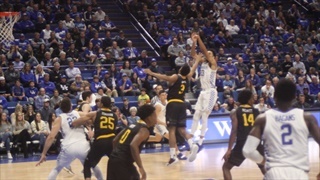 The Wildcats dominate down low before taking their foot off the pedal against the Winthrop Eagles. Is the season over two games in? How happy is Karl-Anthony Towns now that Jimmy Butler is gone? What even is a Saluki?? 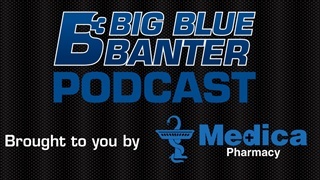 These questions answered plus more from the Big Blue PodCats. 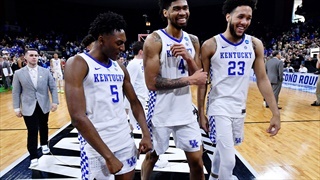 Find out what to expect from all the players on the UK Basketball team, and how they compare to the past recruits right here at B3! Catch up on all the coming and going with the UK Basketball team right here with the B3 Summer Refresher!